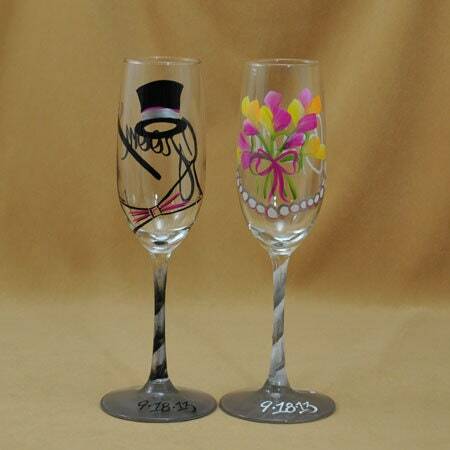 These Flutes made for the Bride and Groom have been designed to represent some of the items we associate with them. A bouquet of flowers and strand of pearls. A Top hat, cane and bow tie. 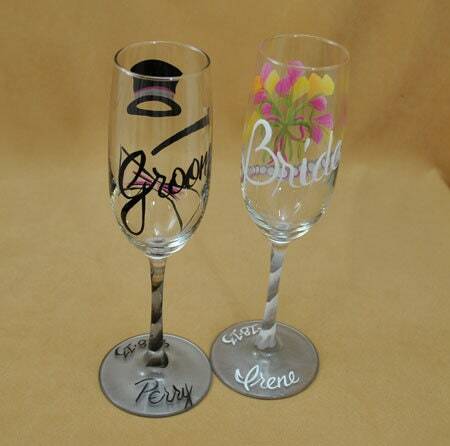 We can add the date and names to the bases. 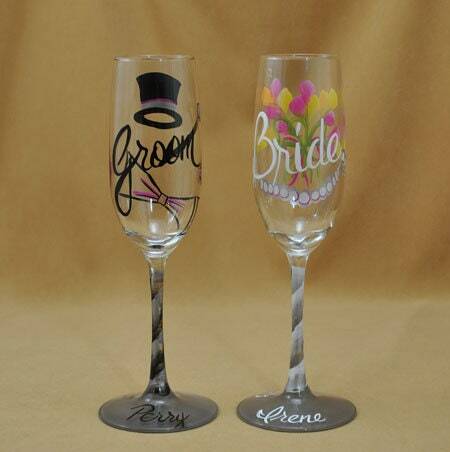 Don't want your glasses to say Bride and Groom? We can use names instead. Just let us know in the comments. Want different colors? No extra charge. Just ask.